Explanation: In the vast Orion Molecular Cloud complex, several bright blue nebulae are particularly apparent. 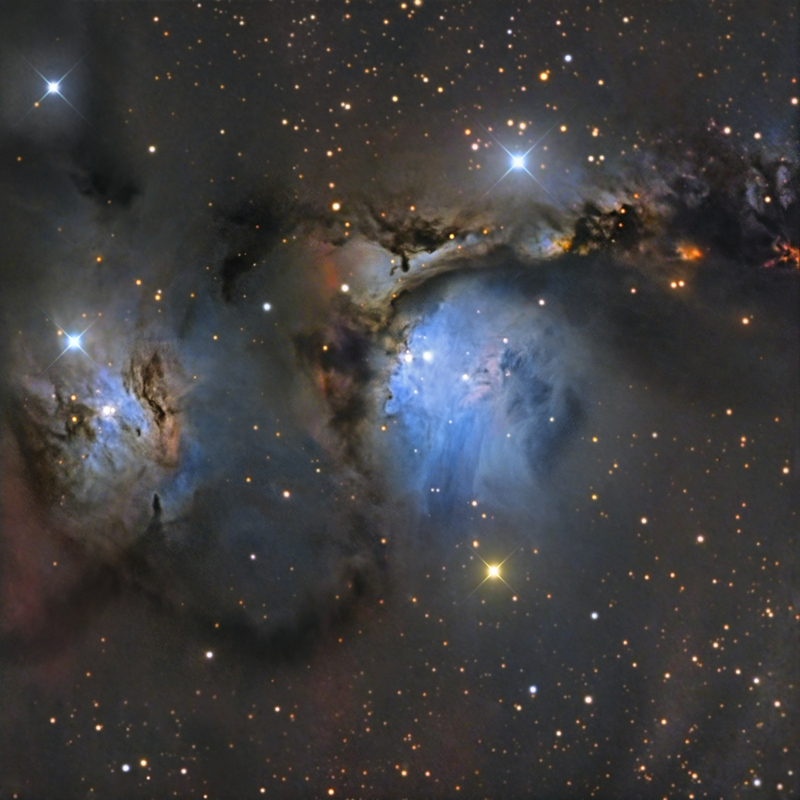 Pictured here are two of the most prominent reflection nebulae - dust clouds lit by the reflecting light of bright embedded stars. 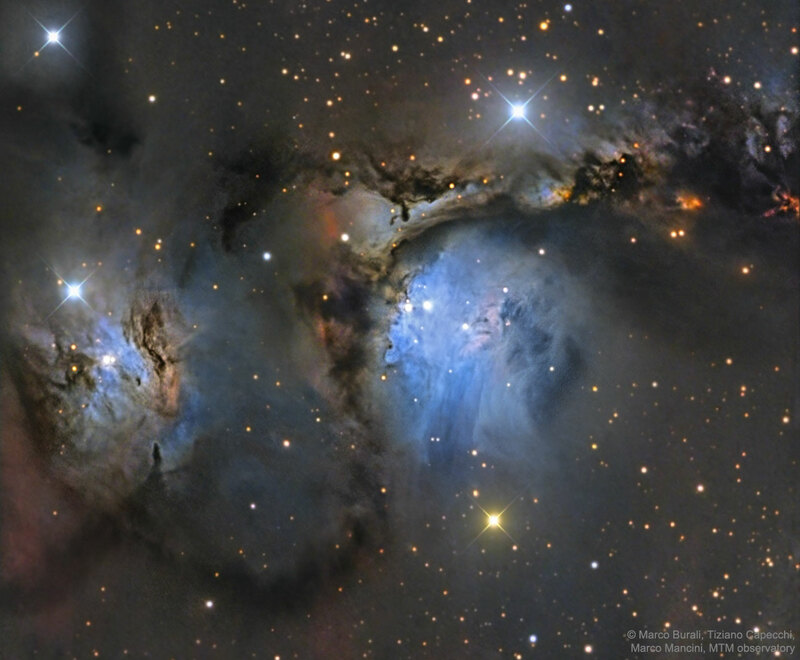 The more famous nebula is M78, in the image centre, catalogued over 200 years ago. To its left is the lesser known NGC 2071. Astronomers continue to study these reflection nebulae to better understand how interior stars form. The Orion complex lies about 1500 light-years distant, contains the Orion and Horsehead nebulae, and covers much of the constellation of Orion.